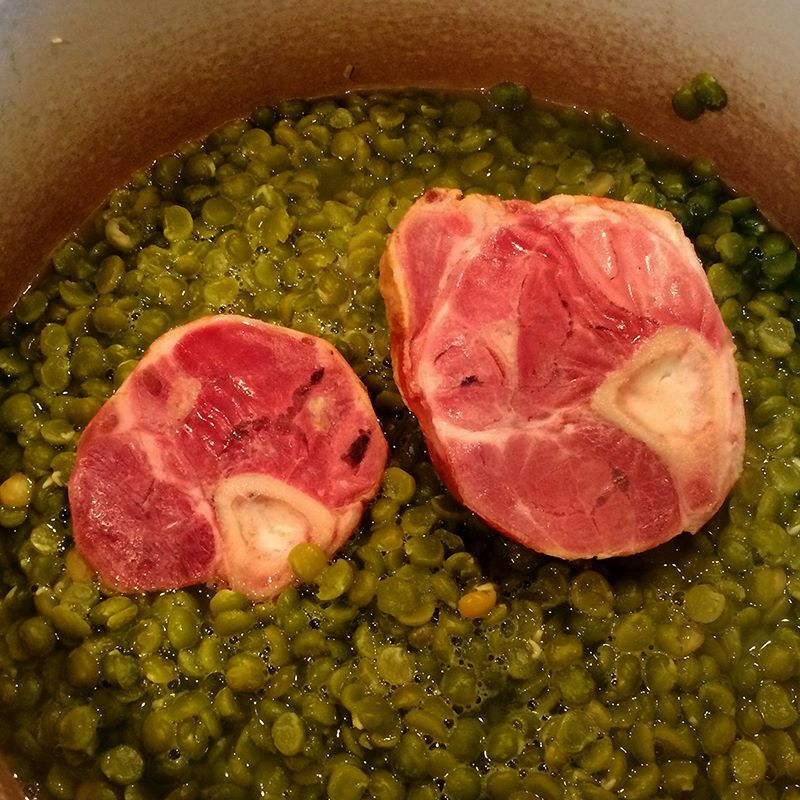 Cook split peas with ham hocks according to package directions. 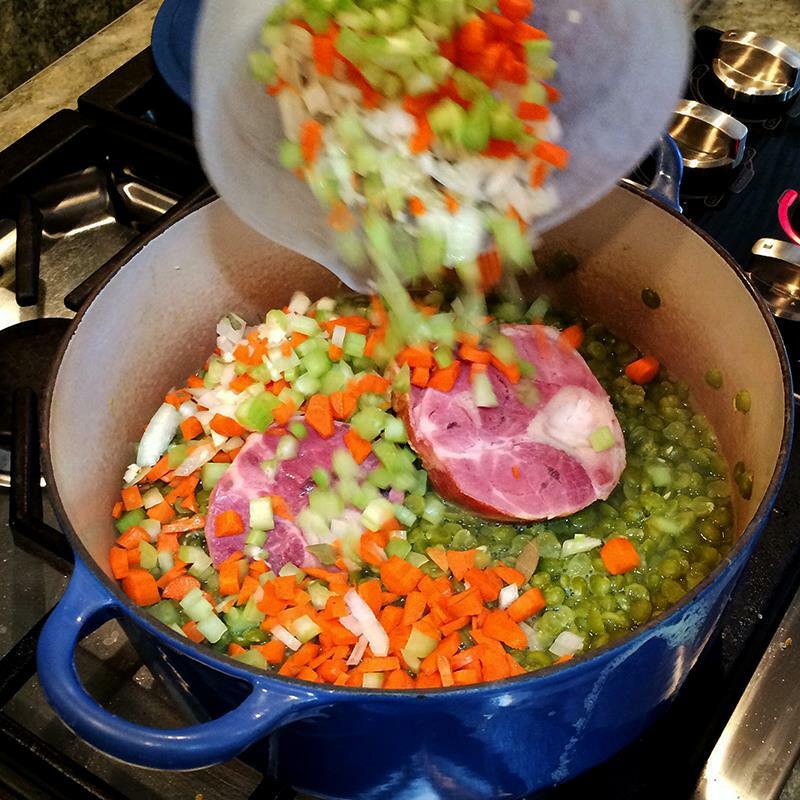 Add chopped veggies and cook until tender. Salt and pepper to taste. 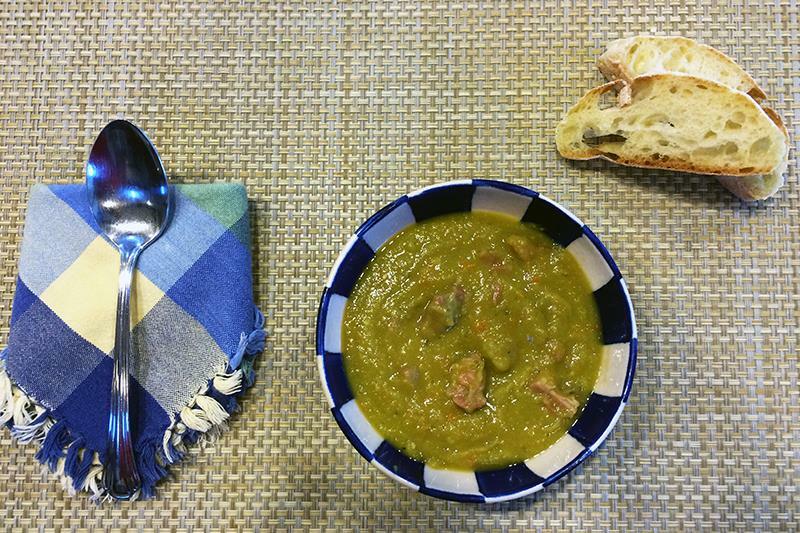 The ham makes a rich and hearty broth.